Internationally known for its soccer club, Borussia Dortmund, this cosmopolitan city is the economic center of the Ruhr region in North Rhine-Westphalia. Exhibitions, fairs, concerts, theaters and sporting events await you in this diverse city. Our chauffeur service will make sure you get to your business meetings in Dortmund safely and on time. Should you have time between your meetings, our professional chauffeur will gladly put a city tour together for you. Visit the Florian Tower, a television tower in the heart of the Westfalen Park, and the symbol of the city. Enjoy a breathtaking view from the top while dining in the Tower Restaurant. Another symbol of the city, St. Reinold’s Church, is situated in the center of town. The Zollern Colliery (Zeche Zollern) is an absolute must-see. Opened in 1904 and decommissioned in 1966, it has been a protected landmark since then. The colliery reflects Dortmund’s history as a mining city. When you choose TOP-ALLIANCE Limousine and Chauffeur Service, expect superior service paired with your choice of perfect vehicle. 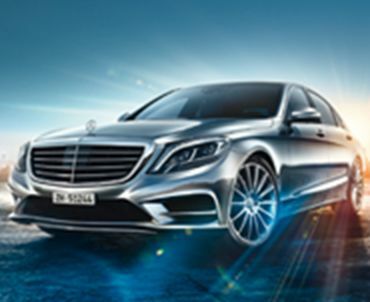 We offer transfers and hourly hire for both elegant first-class and the exclusive business class models. We also have spacious luxury vans and buses for larger groups. We’ll bring you to Dortmund airport or train station on time and can also pick you up upon arrival. If you rent by the hour, your driver is dedicated for the entire time you've booked. Don’t waste time dealing with stressful traffic, parking, GPS systems and time pressure, simply sit back and enjoy your ride in the vehicle of your choice. Whether by email or phone, either on short notice or well in advance, you can contact us for a reservation 24 hours a day. All we need to know is where you would like to be picked up and dropped off along with the times, the number of passengers and your preferred vehicle model. Experience professionalism and luxury at an unbeatable price with our limousine service. Contact us for a special offer for your individual company event or private celebration. Our friendly, experienced booking team will be happy to answer any questions you might have. TOP-ALLIANCE – We’ll drive you through Dortmund. Services in the listed cities are provided by TOP-ALLIANCE and/or our partners.